134:8.4 Jesus spent the last three weeks of August and the first three weeks of September on Mount Hermon. During these weeks he finished the mortal task of achieving the circles of mind-understanding and personality -control. Throughout this period of communion with his heavenly Father the indwelling Adjuster also completed the assigned services. The mortal goal of this earth creature was there attained. Only the final phase of mind and Adjuster attunement remained to be consummated. 134:8.6 Near the end of the mountain sojourn Jesus asked his Father if he might be permitted to hold conference with his Satania enemies as the Son of Man, as Joshua ben Joseph. This request was granted. During the last week on Mount Hermon the great temptation, the universe trial, occurred. Satan, (representing Lucifer) and the rebellious Planetary Prince, Caligastia, were present with Jesus and were made fully visible to him. And this "temptation," this final trial of human loyalty in the face of the misrepresentations of rebel personalities, had not to do with food, temple pinnacles, or presumptuous acts. It had not to do with the kingdoms of this world but with the sovereignty of a mighty and glorious universe. The symbolism of your records was intended for the backward ages of the world's childlike thought. And subsequent generations should understand what a great struggle the Son of Man passed through that eventful day on Mount Hermon. 134:8.9 On an afternoon in late summer, amid the trees and in the silence of nature, Michael of Nebadon won the unquestioned sovereignty of his universe. On that day he completed the task set for Creator Sons to live to the full the incarnated life in the likeness of mortal flesh on the evolutionary worlds of time and space. The universe announcement of this momentous achievement was not made until the day of his baptism, months afterward, but it all really took place that day on the mountain. And when Jesus came down from his sojourn on Mount Hermon, the Lucifer rebellion in Satania and the Caligastia secession on Urantia were virtually settled. Jesus had paid the last price required of him to attain the sovereignty of his universe, which in itself regulates the status of all rebels and determines that all such future upheavals (if they ever occur) may be dealt with summarily and effectively. 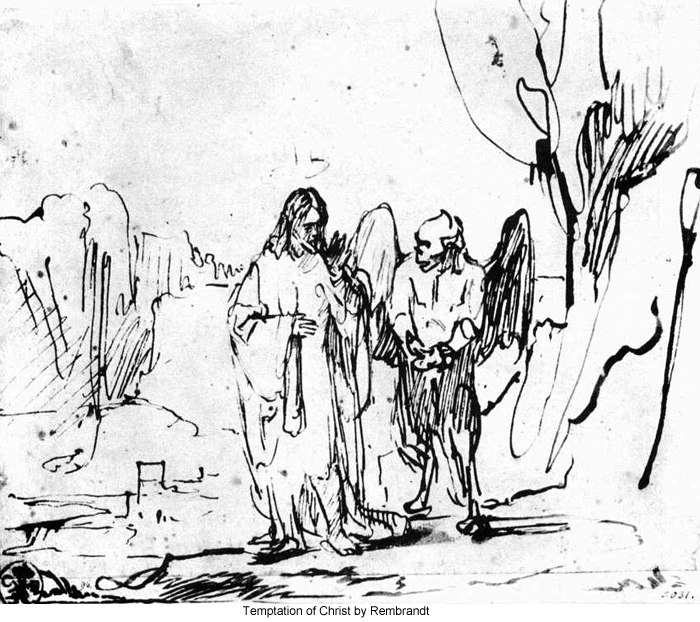 Accordingly, it may be seen that the so-called "great temptation" of Jesus took place sometime before his baptism and not just after that event.